This game can be used while teaching your clothing unit and later as a way to warm up or wrap up the class. I am sure there are different ways to play this game, but this is how I play it with my students. 1. One person leaves the room. 3. The student who was outside comes back to the room. 5. The student who is back in the classroom starts making sentences (orally) to try to figure out who the mystery person is. 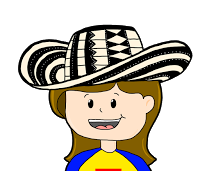 For example, “La persona misteriosa tiene la camiseta de color azul.” The student can use the cards to create the sentences. 7. The game continues until he/she finds the mystery person. 8. A variation could be to limit the times the student guesses. If you use a different version of this game, I would love to hear it! Please share it in the comments. Click HERE to download your free cards to play this game! I teach in a FLES program, so I don’t really have much time for big projects in my class. I see my students twice per week for 30 minutes each time. This is a fast and fun project to end your clothing unit. 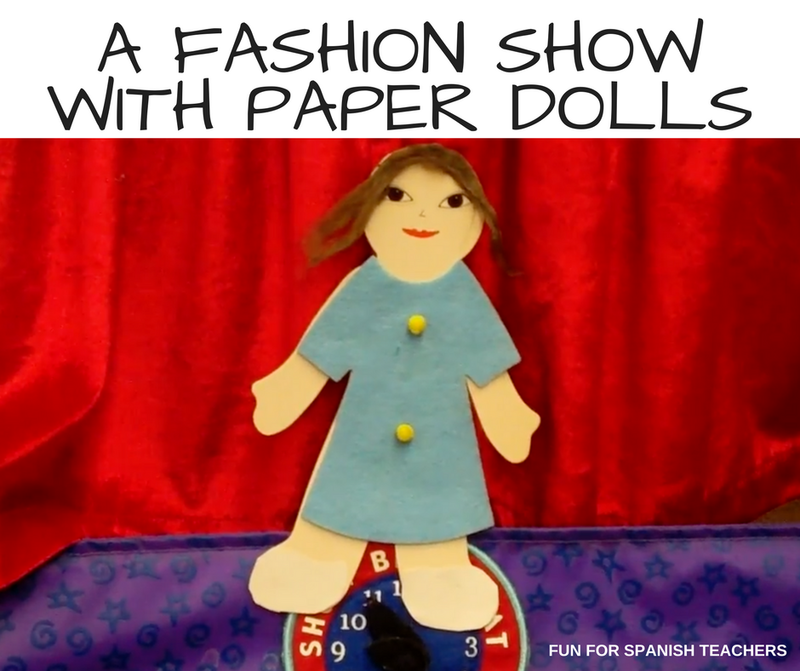 My students love putting the paper puppets together and getting them ready for the fashion show. 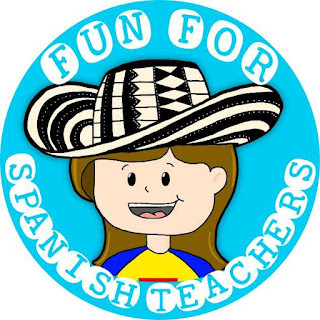 This is an activity I do with my second grade classes, and it takes them about three classes plus the class where they present their final work. Class #1: Students put their puppets together with clothes. I use the People Shapes Project Kit from Lakeshore ,* Foamies Kids Activity Bucket * and also the free printable paper dolls from Making Friends. Class #2: Students write a short description of their paper puppet. I give them samples for this and also something that I call “menú de vocabulario” which is basically a list and pictures of the vocabulary they need to write their paragraph. 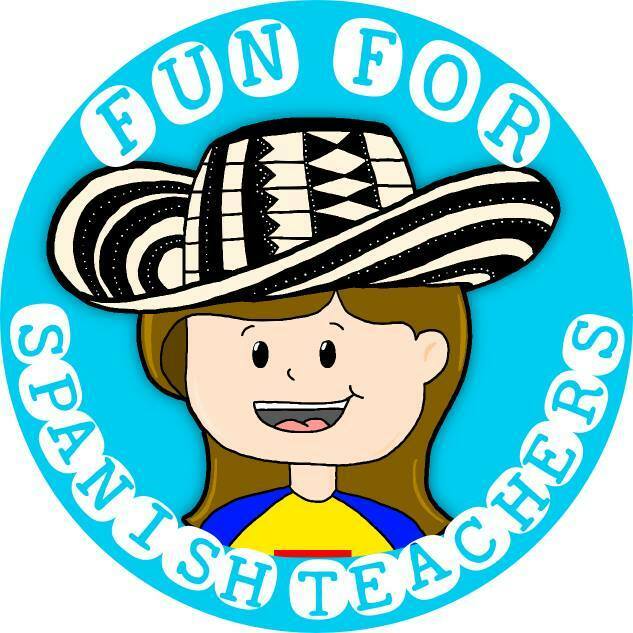 I use a lot of the target language in my class, but sometimes I cheat when I have to give them the descriptions of the projects and use English. That’s when I use that 10% proposed by ACFTL, a recommendation for keeping your classroom in the target language for at least 90% of instructional time. Class #3: Students practice their presentations with classmates. Class #4: Students present their final work to the class. I use a small puppet theater and also record each of my students. I use videos as an assessment tool in my classes. Download materials for the project here!